I disliked half the poems in this collection, and loved the other half. It's a jumble to be honest. The idea for most of them is quite interesting, using historic points to set the poems in. It also covers a wide range of the globe in terms of horse culture. If you like horses and history you will enjoy this collection. It was quite fun to read. All of these poems are based on artifacts or artwork. Interesting history of the horse and its relationship with people told in a series of poems. 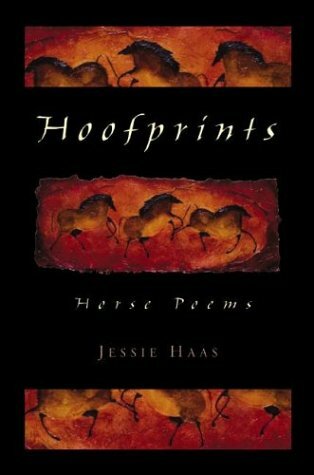 Jessie Haas - Jessie Haas has written over 35 books for children and adults, many about horses--a lifelong passion. She currently owns a Morgan mare, Robin, who is being clicker-trained to be a trail and pasture-dressage horse. She lives in a small, off-grid house in the woods with husband Michael J. Daley, two cats and a dog. When not writing or riding or reading she likes to knit, cook, and write, or ride, or read.